Cheesy appetizers are a staple at any party. 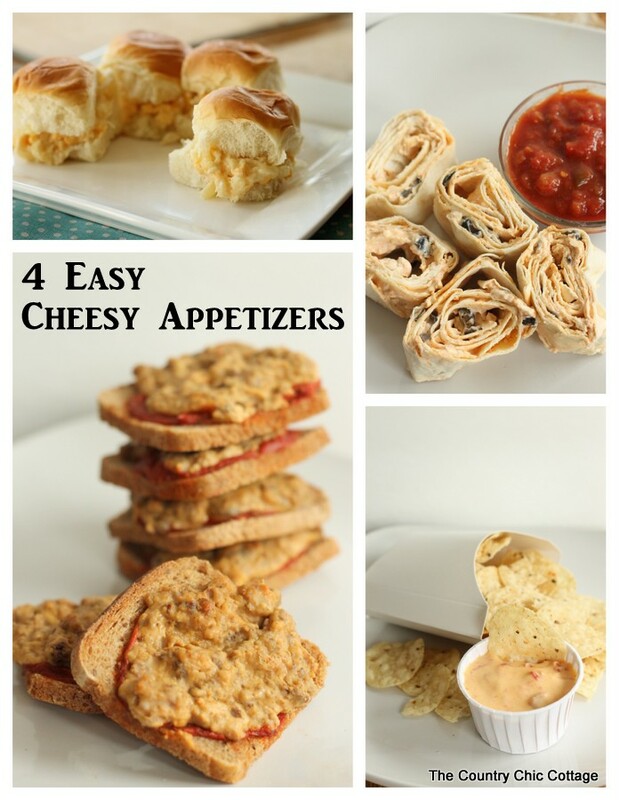 I have came up with my top four recipes for cheesy appetizers that will work at any of your parties. Grab the ingredients and make a cheesy spread that no one will forget! 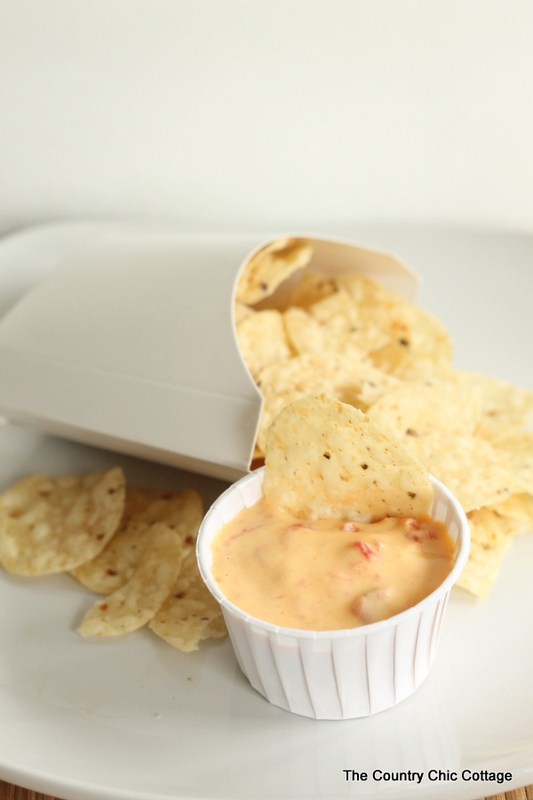 First up is the always popular queso dip! Combine undrained tomatoes and Velveeta in medium saucepan. Cook over medium heat 5 minutes or until Velveeta is melted completely and mixture is blended, stirring frequently. Serve warm as a dip. I love serving mine in individual serving cups with little sleeves of tortilla chips! Next are my spicy taco roll ups. Mix cream cheese, sour cream, taco seasoning, and black olives. 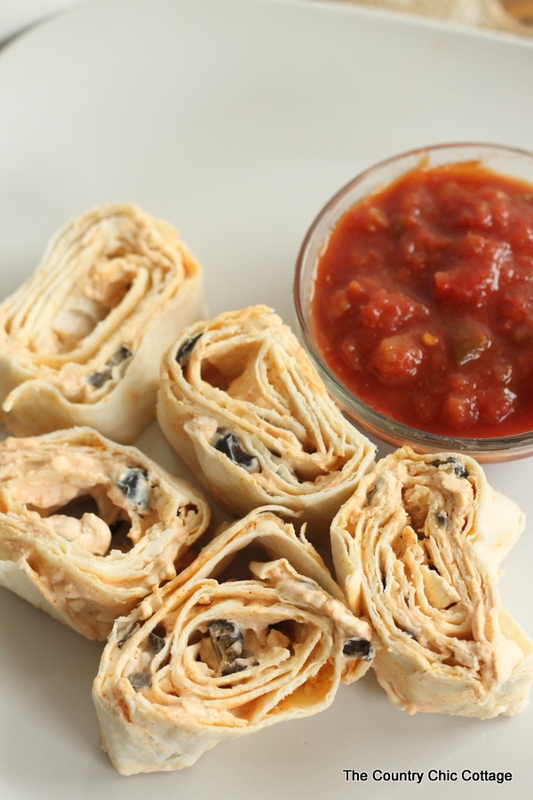 Spread thin layer of mixture on one tortilla, roll up, and cut into slices. Continue until all of mixture is gone. Serve with a side of salsa for dipping. No party would be complete without these mini rye bread pizzas. Brown pork sausage and drain well. Add Velveeta to skillet and cook until melted. 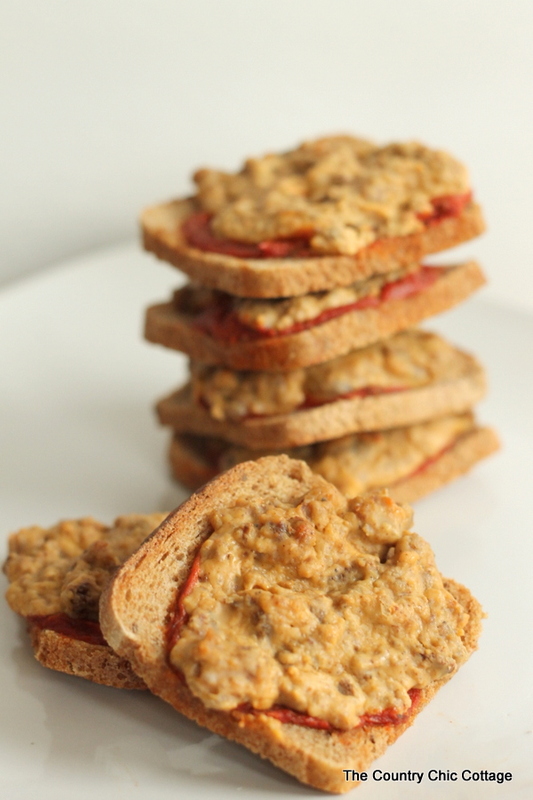 On top of each rye bread slice add 1 tsp pizza sauce and 1 rounded tablespoon of sausage mixture. Bake at 350 degrees until tops are brown. If y’all have never had pineapple cheese spread….today is the day! It is amazing for an appetizer or served on bread for lunch. Drain pineapple really well and add to a bowl with Velveeta. Mix together and add mayonnaise until mixture comes together like a sandwich spread. 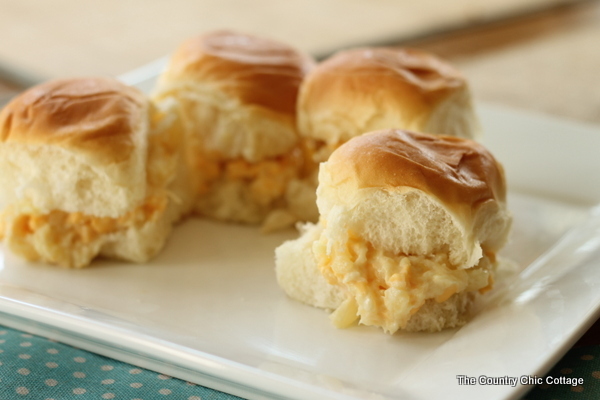 Serve on top of King’s Hawaiian rolls for a great appetizer. Those are my favorite cheesy appetizers of all time y’all. Have you tried any of these? Which if your favorite? Which are you going to try soon?